Tired of hearing crickets on Facebook? Facebook Live stream provides a way to increase your reach while building your list. Plus, you’ll build your brand in the process because you’re audience will like, know and trust you. 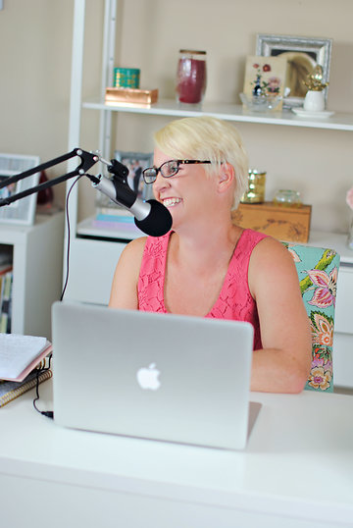 In today’s episode of the podcast, I am talking to Meg Brunson. Meg first dipped her toe into the world of entrepreneurship shortly after her third pregnancy. The pregnancy was life-threatening and when she came out of it, Meg knew that she wasn’t going back to a regular job but rather, she was going to spend as much time as possible with her family. Meg started a mom blog which was absolutely life-changing for her and her family. Meg and her family were at their lowest point as a family financially. The blog provided opportunities to build their way out of the slump they were in. It also gave them back a quality of life that they had been missing. After 3-4 years of using Facebook to grow her blog and email list, Meg actually got hired to work for Facebook. It didn’t take long for her to realize that she had been doing a lot of things the hard way and that she could have been even more successful. Meg worked one-on-one with ad clients; from people who spent $5 per day on ads to one client who spent $17K in one day on Facebook ads. Meg spent a year working with clients on their Facebook ads before realizing she had stepped back into the corporate world without really meaning to. So back home she went to her family. It took another couple of months before the thought struck her that what she had been doing for Facebook, she could actually do at home for herself. While Meg still has her foot in the mommy blogger world, she is primarily focused on helping others use Facebook to scale their platform and find that quality of life that she was looking for when she got started. The number one most important thing to remember when trying to grow your audience through Facebook live steam is consistency. Build in a buffer. 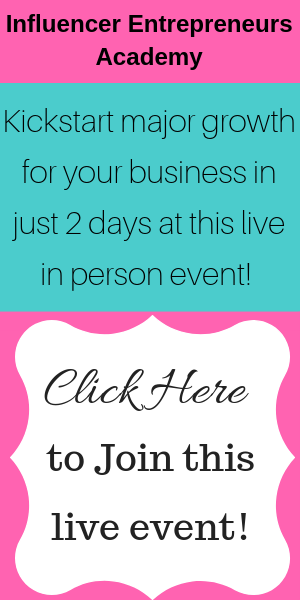 If you plan on going live at 3 pm, build in a 15-minute buffer fifteen minutes before 3:00. If the dog throws up on the carpet or an important call comes in, you have that extra time to be ready. Another point to remember is that more people will watch the replay than will watch your Facebook live stream. If only 1-2 people show up, or even none, don’t let it fluster you. Just keep on going as if you have 100 people watching. As most of you know, I repurpose my Facebook live streams into this podcast and a blog post. If you’re live but you have no viewers, you don’t have to sweat it because you know that you’re just creating content for more channels. One crucial point that Meg brought up is what to do for those first few seconds or even minutes while you’re waiting for people to show up. Have you been watching someone go live and they just keep hemming and hawing waiting for people to start watching? I swear to you that the other day I watched a girl examine her eyebrows in her phone for 3 minutes while waiting for people to start watching her video. Do not be that person! Start strong and stay strong. If you feel awkward starting when nobody is watching, a great way to begin is by thanking the people who will be watching the replay. It takes a few seconds for your live broadcast to begin for those watching but don’t waste those precious seconds. Use them to get things off to a great start and then just keep going. I have talked before about not going live just to go live. You should have a reason for it. Direct your audience to a download, ask them to sign up for your email list, send them to an affiliate link, something! There should always be a call to action for every Facebook live stream you do. Let’s go back to something I tell you all the time. Facebook is not your platform. Your Facebook page isn’t yours. If you have a Facebook group, it’s not yours either. That’s right, you don’t own even the tiniest little piece of Facebook. Truth be told, you could sign in to Facebook tomorrow morning and find everything you had on there gone. It’s happened to others and it could happen to you. I spoke about this back in episode 55 where I dove into How to Beat the Facebook Algorithm. If Facebook was gone tomorrow, would your business survive? If the answer is no, then you need to start rectifying that situation. The way to do that is by building your list. And yes, email open rates may not be the highest they’ve ever been, but listen guys, you actually own your list. I don’t want to hear any of my audience complaining about Facebook’s latest algorithm either. They can do whatever they want to! It’s their house, they make the rules, and if you don’t want to play by their rules you need to shut it down. Should I Be Using Facebook Ads for my Facebook Live Streams? I think the answer to this is pretty obvious or else why would I have Meg on the podcast, but there are so many questions about how to do it, when to do it, and what we need to know to do it well. The first thing that Meg stressed is not putting money into ads until you have really thought through what you hope to accomplish. You need to completely ignore anything you see on your homepage saying boost this post or those things that tell you that so-and-so post of yours is performing better than 90% of your other posts. Meg compares these with the candy bar at the checkout of the grocery store. Yes, you might end up with something yummy, but at the end of the day what good has it done you? Meg plans out ahead of time which of her live broadcasts she will actually put money behind. She also approaches these more like a polished video. In other words, she doesn’t answer questions live, she keeps it to 2-3 minutes, and she has an agenda for the video. What solution can I offer? How can I help you immediately? From there, Meg goes into the ads manager, never ever boosting from the page, and works through the options. And yes, there are a ton of options but don’t let that scare you. Just know that everything defaults to the recommended settings so you won’t mess anything up if you aren’t sure what to choose. Okay, guys, Meg shared so much more good stuff in our chat than I could share here. Be sure to go watch the video or listen to the full podcast episode if you want her best tips on starting to use Facebook ads for your Facebook live videos! And be sure to grab her guide on Facebook ads as well as my cheat sheet on doing live broadcasts.